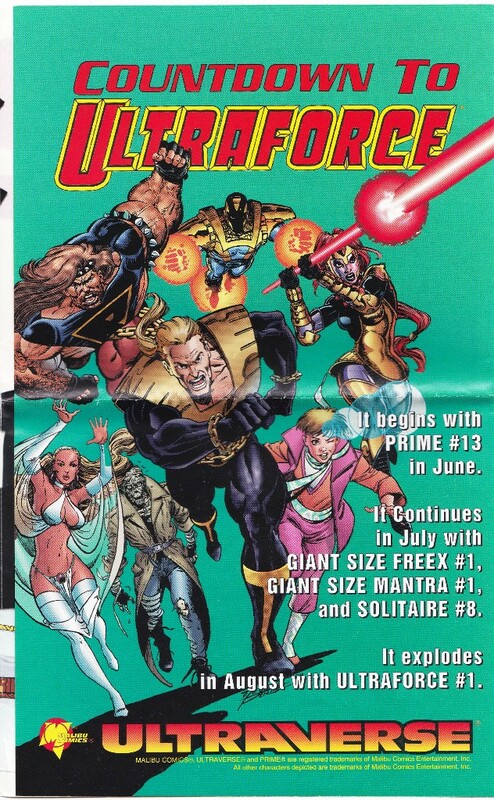 I picked depluto as a screen name years ago when I signed up for AOL. I still use it for a lot of things including posting on some forums. While I’m at it … here are some Night Men. Um, Night Mans. 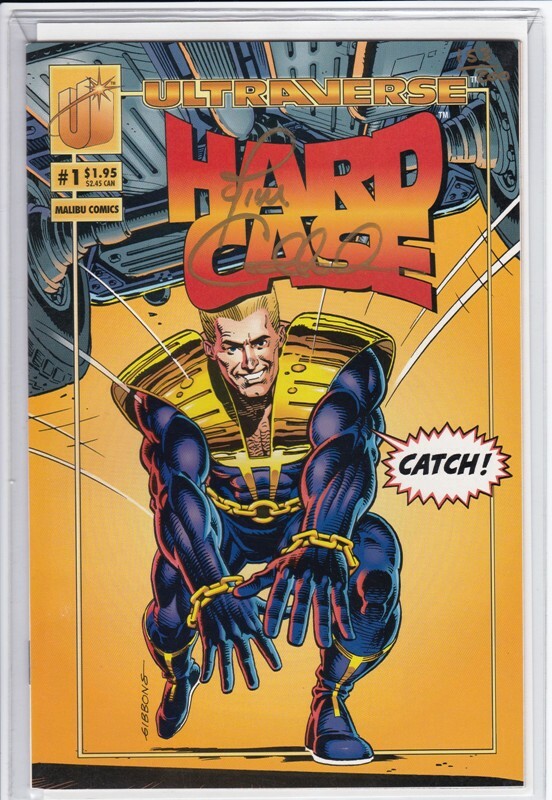 The first Ultraverse card binder I found had a tear on the corner as if it had been chewed by chipmunks. I’ve been looking for a better one ever since and finally found it. The box is a little rough; the outer wrap was torn (I took it all off) and there was a clear plastic cover that had yellowed over the years. But the binder itself is perfect, and it includes the two extra cards that you could only get with this package. 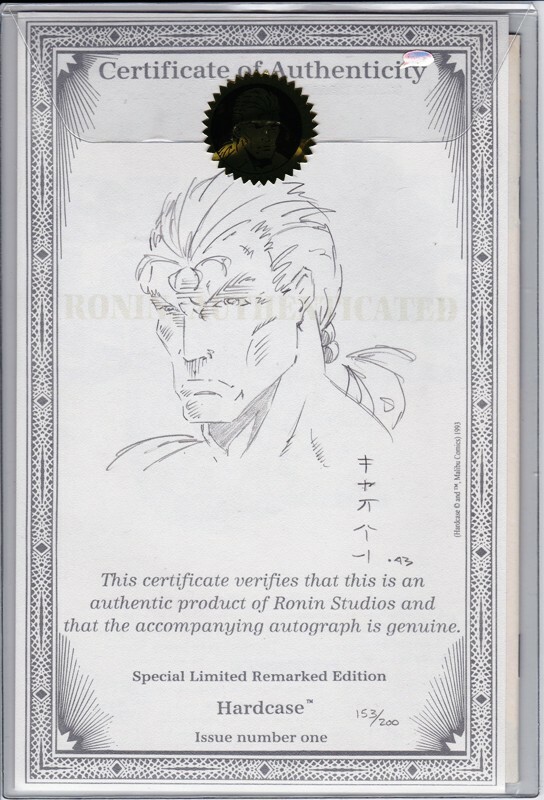 Here’s another weird thing I got from eBay. 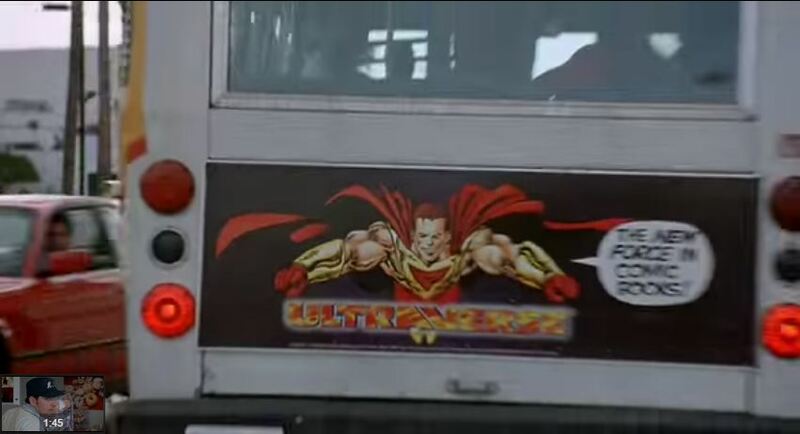 It’s a mock-up for proposed Ultraverse advertising on city buses. 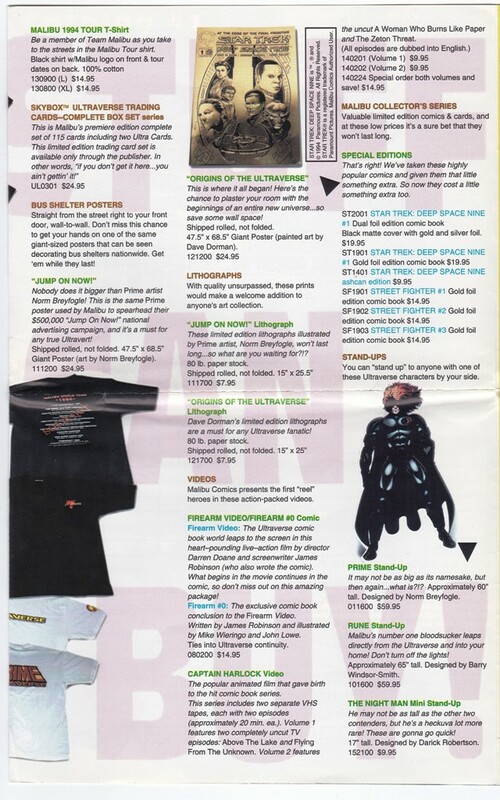 It’s not very big, just a couple of inches tall and about seven inches wide. 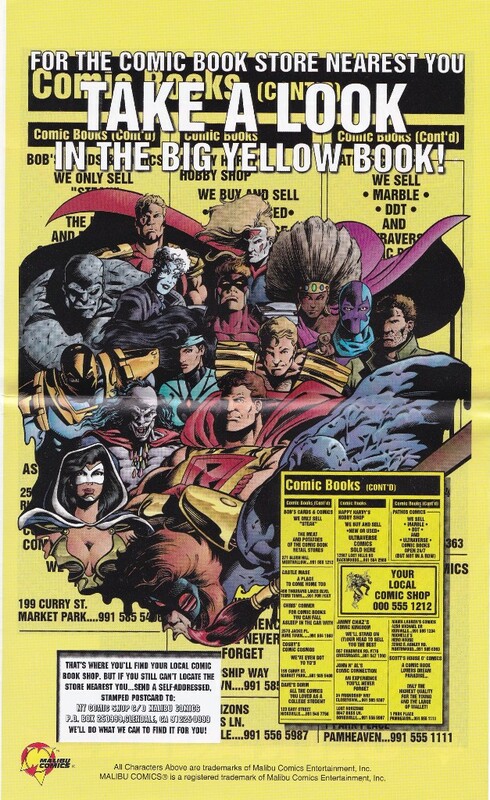 A rare relic salvaged from the fallen Malibu Comics empire… When an ad agency was tasked with creating bus ads for the Ultraverse, they sent Malibu execs this mock-up of how the projected campaign would look. 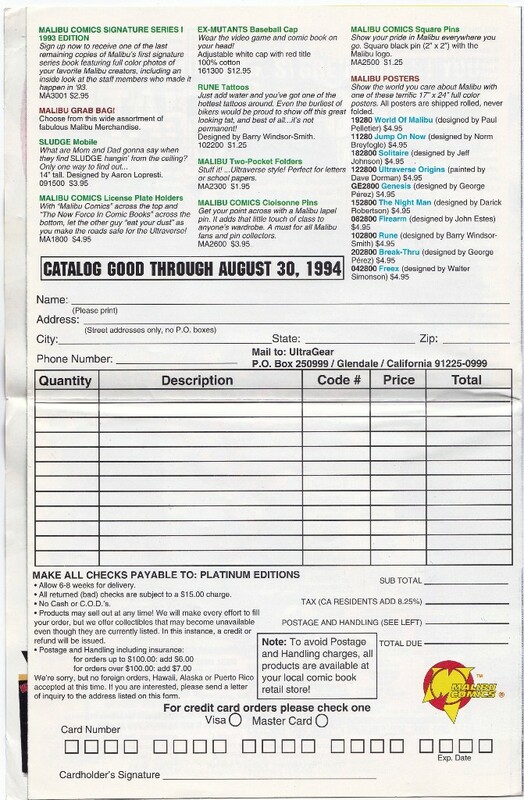 Recovered from an ex-Malibu employee who was there. Insanely rare. Only a handful ever made. 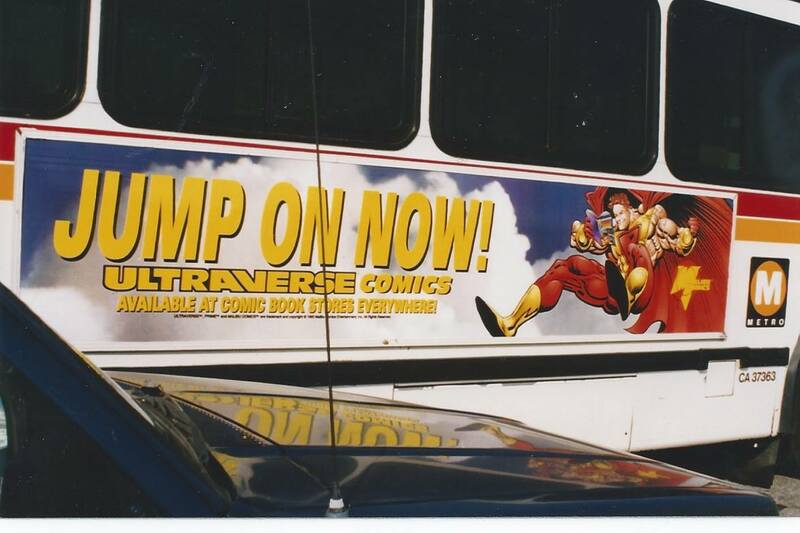 Here is a picture of an actual bus advertisement, courtesy of Ultraverse co-founder Tom Mason (he says it came from the advertising agency and is dated from 1994). And at that point you really should quit watching. 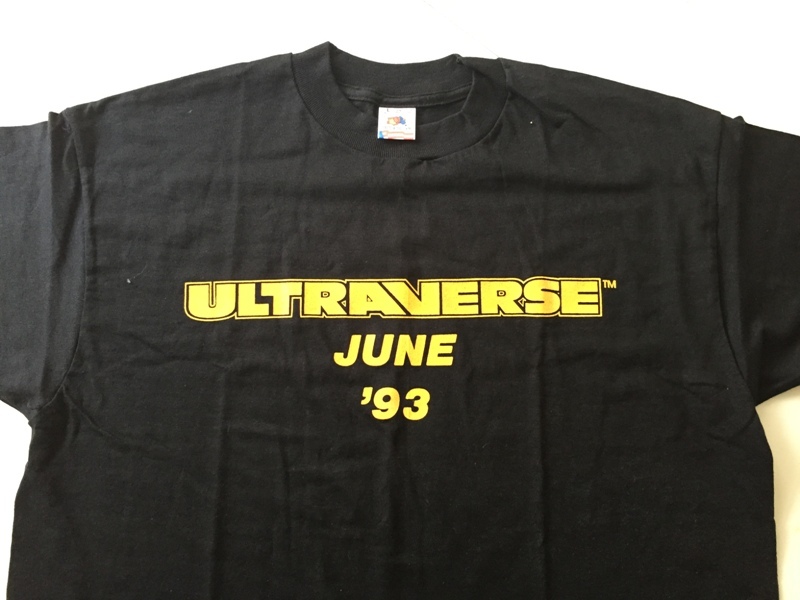 You don’t see a lot of Ultraverse shirts for sale … I’m guessing they didn’t make very many. 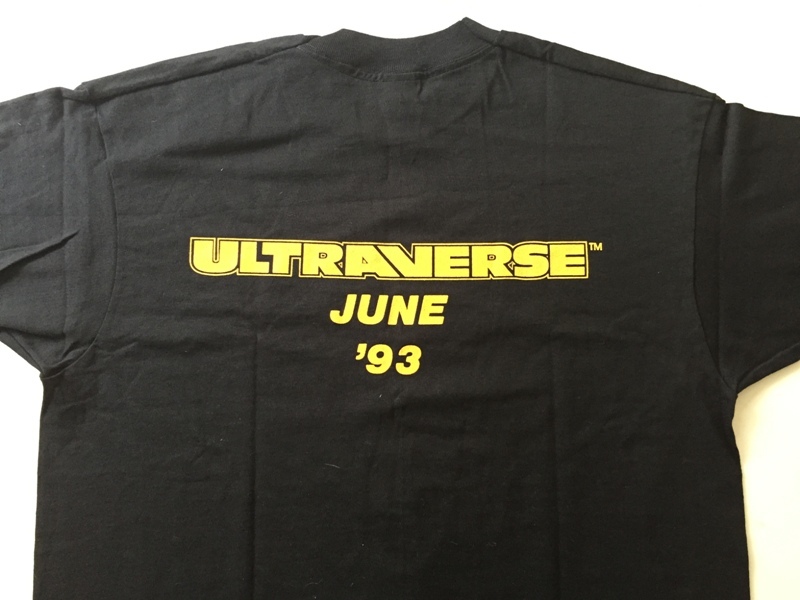 I have seen a few Prime shirts and a couple of white Ultraverse tees, but I had never seen a black one before. 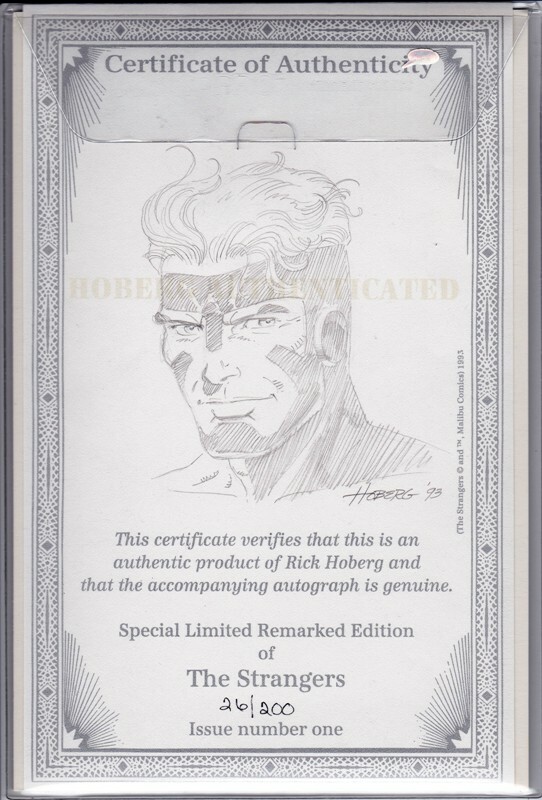 I bought this off eBay; the picture with the auction showed it still in a bag, so there was no way to know what was on the back. I was pretty curious about the back. Was it a bigger logo? A cool image? 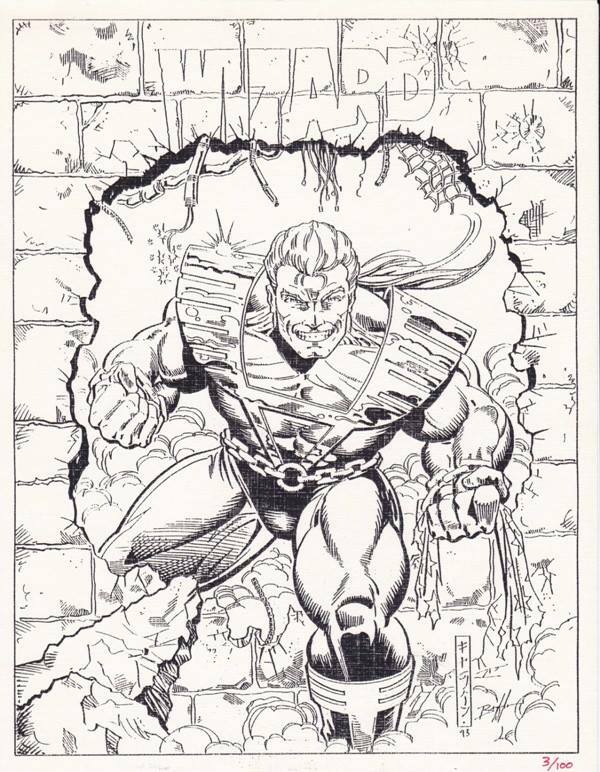 A cover recreation? Even though the shipping was $9 (for a shirt!) 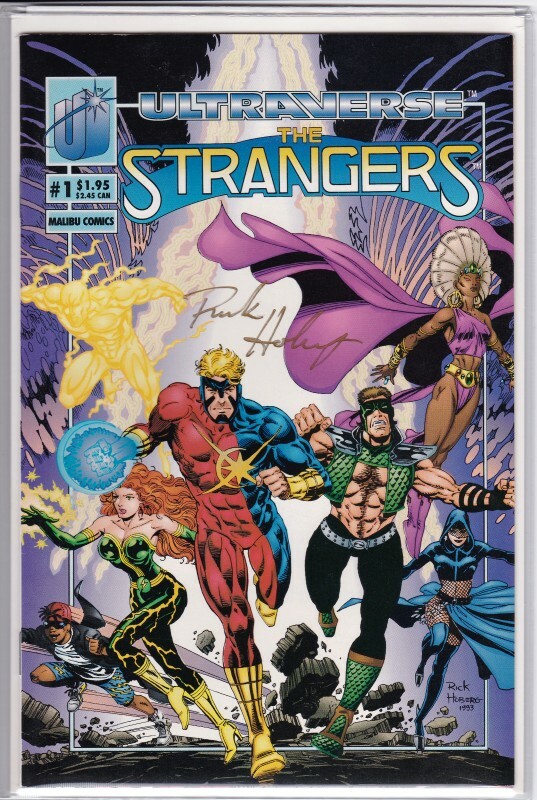 I bid a bit more than $10 and won. 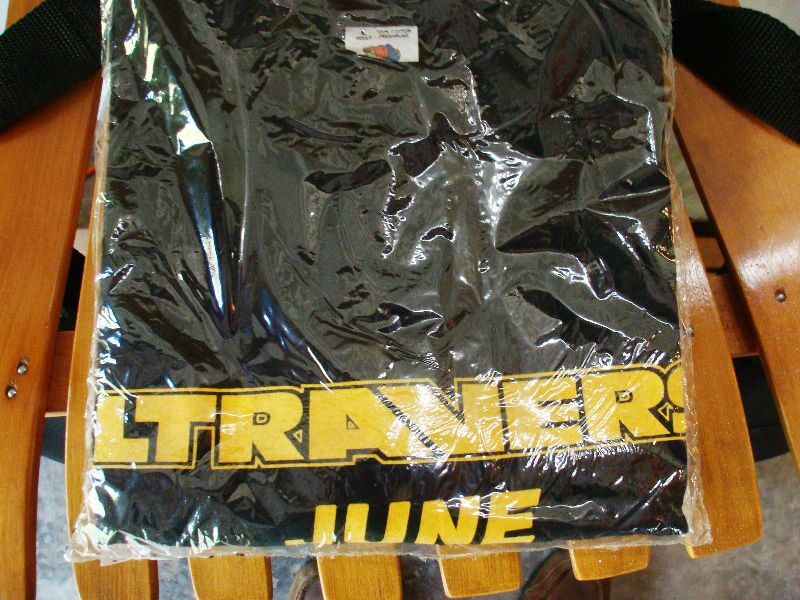 It took about a week and I got the shirt. I opened it up.